(Yossi Verter- Haaretz)....Yesterday's vote by the Likud central committee on Netanyahu's proposal to postpone elections for party institutions was supposed to conclude at 10 P.M., after this section of the paper goes to press. In the days preceding the vote, Netanyahu devoted almost his entire agenda to mustering votes from central committee members he normally doesn't give two hoots about. Some of them will have voted against him yesterday - just to teach him a lesson. In the meetings the prime minister held this week, he continued to turn a marginal phenomenon in Israeli politics into an existential threat to the Likud and the foundations of the country's democracy. He reached the conclusion that this was the only way he could shake the 2,500 committee members out of their apathy and drag them to 28 polling stations around the country. "Only the daring win," he likes to say - quoting the slogan of the ultra-elite Sayeret Matkal commando unit, in which he served. Netanyahu's assessment was that if he did not devote every ounce of energy to this issue, he would definitely lose, but he could win if he threw everything at his disposal into the campaign. In the meetings, Netanyahu spoke against messianism and rejectionism, and in favor of the Supreme Court, against extremism and in favor of a peace treaty with the Palestinians. Yet even though he was supporting the side of all the sane values that the majority of the nation espouses, he woke up yesterday to a virulent, mocking and skeptical media, which excoriated him for trying to sabotage internal Likud democracy and also cast doubt on the sincerity of his motives. It's difficult not to draw comparisons between Netanyahu and his predecessor as head of the Likud, Ariel Sharon: Preserving the internal democracy in the Likud was of less interest to Sharon than the condition of the wool on the sheep at his ranch. During his time as Likud head, he balked at no maneuver, when it served his purposes, to trample the party's constitution. In the face of the central committee members' thuggery, Sharon was also able to make use of the values of political moderation, sloughing off the messianic elements and declaring a commitment to the courts. The difference is that in the case of Sharon, all this worked. He always had the sympathy of the media in the battles he waged against the extremist elements in Likud. The more he ignored the party's constitution and its binding decisions (such as the referendum among party members about the Gaza disengagement, a vote he lost) - the more his public popularity grew. It's not that Sharon wasn't sometimes under pressure. When he was concerned that he might lose to Netanyahu in the party primary, he convened an urgent press conference, had air force commander, Dan Halutz, who was also a family friend, sit down next to him and shouted: "Go and vote!" That too was hysteria. But Sharon was forgiven for everything, whereas we are not willing to pardon Netanyahu for anything. (Reuters).Back on track? US Secretary of State Hillary Clinton said on Friday she expects Israeli-Palestinian proximity talks - indirect discussions through US mediators - to begin next week. "We will be starting with proximity talks next week," Clinton told reporters, saying US special envoy George Mitchell would be returning to the Middle East. Clinton said the US expected an Arab foreign ministers meeting on Saturday to endorse the new talks, which would give Palestinian President Mahmoud Abbas political cover to resume indirect negotiations. "Ultimately we want to see the parties in direct negotiations and working out all the difficult issues," Clinton said during a meeting with visiting Kuwaiti Foreign Minister Sheikh Mohammad al-Sabah. "They've been close a few times before," Clinton said. "So we are looking to see the resumption of those discussions." On Friday, State Department Spokesman Phillip Crowley said the US was "working around the clock to move forward with proximity talks. He added that the US hopes that indirect talks "will set the stage for a resumption of direct negotiations on all permanent status issues as soon as possible." As part of the efforts to convince the Palestinians to enter the talks, the US has given Palestinian President Mahmoud Abbas private assurances, including an offer to consider allowing UN Security Council condemnation of any "significant new Israeli settlement activity," the Guardian reported overnight Friday. (Ynet).Prime Minister Benjamin Netanyahu pushed the Likud Central Committee members to vote, and it seems to have paid off. The official results released Thursday night show that the Likud chairman vas victorious in delaying elections in the party's institutions. Some 76% of the party's central committee members voted in favor of delaying elections, while 23% voted against the motion. In total, around 80% of the committee's members showed up to vote. Netanyahu welcomed the results and said this is an "important achievement, which proves, once again, that the Likud is a responsible and sound movement, that deserves to lead the country." He thanked the party's members for responding to his calls "and leaving their homes to vote for the movement's true path." Head of the party's right-wing "Jewish Leadership" movement Moshe Feiglin assembled his supporters after the ballots boxes were closed and said he accepts the loss, but vowed to run for the party's chairmanship soon. "We will be back running for the party's chairmanship sooner than we think, and we must win," he said at an assembly in a Jerusalem hotel. "We cannot afford to have a national leader that takes the Right's votes and hands them over to the Left," said Feiglin, who leads the branch that is opposed to postponing elections. This movement will gather a strong, broad national camp that has a God, and has faith. Tomorrow morning I am going to see to it that people join Likud." He went on to say, "It is possible that, if it wasn't for all kinds of escapades, we would have won – but there is certainly a large group that is not affected by my words." After the results were announced MK Danny Danon said, "We honor the vote's results and the committee members' will. All the Likud movement's members must unite as one and continue safeguarding the Likud's unity, and I urge all the members of the national camp to join the Likud movement starting tomorrow morning." MK Carmel Shama welcomed the results: "The Likud movement has won and today was saved from entering a political whirlwind. The members demonstrated responsibility and brought about a clear result that can and must serve as a basis for the Likud's stability and unity." Likud Center Chairman Minister Moshe Kahlon thanked the members for taking part in the vote and said, "Netanyahu has won over the Likud and I am pleased that the center accepted the prime minister's proposal." (Ynet).Prime Minister Benjamin Netanyahu voted Thursday in the Likud Central Committee on whether to bring forward the elections for party positions. This is not an easy issue for the prime minister, who urged 2,500 members of the Central Committee to vote. The ballot will remain open till 10:00 pm, and the results will be published a couple of hours later. "This is a hard task," Netanyahu said in Metzudat Zeev, where he cast his vote. "The threshold of two-thirds of voters is high, but I trust the Likud to focus on larger national objectives. Our biggest enemy is complacency – if they are against, they'll still come to vote. And if they're in favor, they'll get 'David and Moshe' for vote for them." "I haven't singled out anyone as an enemy,This has generally been a national movement in support of Menachem Begin, peace and the IDF. If the vote doesn't go the way I hope, most members understand this will mean we'll need to be active in the coming months which will prevent us from focusing on the main issues. "This is the time for the party to help in practice, We respect the legal framework. Our task is to do what we need to do via a majority of two-thirds. The truth is, it will be very difficult, but nonetheless this is what we'll do." Ambassador Michael Oren Addresses Opening of AJC Annual Meeting: "Join us in fighting for Israel’s rights"
(AJC).Israel’s ambassador to the United States, in an impassioned speech at AJC’s Annual Meeting, called on American Jews to continue to openly support Israel. “There are moments these days when the challenges facing Israel seem overwhelming at best, and at worst insurmountable,” said Ambassador Michael Oren, referring to the Arab-Israeli peace process, to the global campaign to delegitimize Israel, and to Iran’s nuclear program. “Israel’s leadership is rising to meet these challenges, rising courageously and creatively,” he told the audience of nearly 1,000, comprising AJC members from across the U.S., and leaders of Jewish communities around the world. Oren added that Israel has been working with the Obama administration, specifically Secretary of State Hillary Clinton, on the resumption of peace talks. She has praised Israel for taking “unprecedented’ steps in promoting peace talks with the Palestinians. But, Oren emphatically warned that the foremost obstacle to achieving peace with the Palestinians and wider Arab world is the concerted, escalating campaign of BDS -- boycotts, divestitures and sanctions – that are direct assaults on Israel’s very legitimacy. Oren expressed appreciation for “President Obama’s determination to prevent Iran from acquiring nuclear weapons, but acknowledged the need for continued pressure on the regime and international support for tough sanctions. (LRozen- Politico).Earlier this week Defense Secretary Robert Gates host an honor cordon for visiting Israeli Defense Minister Ehud Barak, the Obama administration appeared to be pulling out all the stops in lavishing honor and warm attention on the visiting Israeli official, who has come to Washington numerous times in the past few months without so much grand ceremony. But there’s a specific point to the U.S. Defense Secretary in particular hosting the honor guard for Barak at the Pentagon yesterday that I may have missed and is worth calling attention to. The reason may be that the Obama administration seems to be making a concerted effort to put to rest in particular any impression that the top U.S. military brass was in any way questioning the value of the U.S.-Israeli military and strategic relationship. The suggestion is that Gates’s showing of high honor to the Israeli defense chief may have been a message to those specifically in the office of the Joint Chiefs of Staff and Central Command to, in essence, clam it. At a joint Gates-Barak media appearance at the Pentatgon Tuesday, Israeli Channel 10’s Gil Tamari asked both nations' defense chiefs about the unusual joint press conference and show of ceremony. “And … is the real perception of the Pentagon -- that, like [Centcom commander] General [David] Petraeus suggested, that the United States is paying a price with the life of American soldiers when Israel is not reaching peace with the Palestinians?” Tamari continued. Gates jumped in to answer the second question. “What we do believe is that the -- heretofore, the lack of progress in the peace process has provided political ammunition to our adversaries in the Middle East and in the region, and that progress in this arena will enable us not only to perhaps get others to support the peace process, but also support us in our efforts to try and impose effective sanctions against Iran,” Gates continued. Gates also used the news conference with Barak to counter the gist of reports based on the leak of a classified memo he wrote to National Security Advisor Jim Jones in January. The memo reportedly called for a principals meeting to be held on prudent preparations that the U.S. should be making to contain and protect allies from Iran, but was portrayed in an initial report as Gates issuing a "wake up call" to the Obama White House. (Haaretz).French President Nicolas Sarkozy has told his Israeli counterpart Shimon Peres that he is disappointed with Benjamin Netanyahu and finds it hard to understand the prime minister's diplomatic plan. Sarkozy made his comments at the Elysee Palace two weeks ago. The latest criticism follows the diplomatic crisis between Netanyahu and U.S. President Barack Obama and the subsequent fallout between Netanyahu and German Chancellor Angela Merkel. High-level Israeli officials briefed on the Peres-Sarkozy meeting called it "very difficult". The officials, who asked to remain anonymous, said Sarkozy began criticizing Netanyahu at the start of the discussion and continued for around 15 minutes. Sarkozy's remarks were only slightly more measured than the condemnation he expressed over Foreign Minister Avigdor Lieberman last summer. "You must get rid of that man," Sarkozy told Netanyahu at the time. Sarkozy met with Obama the week before in Washington; the effect of the encounter was evident in the French leader's discussion with Peres. Sarkozy expressed frustration at the continuing stagnation of the peace process and assigned much of the responsibility to Netanyahu. "I'm disappointed with him," he reportedly told Peres. "With the friendship, sympathy and commitment we have toward Israel, we still can't accept this foot-dragging. I don't understand where Netanyahu is going or what he wants." After listening to his host's remarks in full, Peres reportedly replied: "I'm aware that trust between Israel and the Palestinians has been undermined, but Israel has reached out its hand in peace and adopted the two-state principle, and Israel is working to strengthen and develop the Palestinian economy. There is no alternative to returning to the negotiating table as soon as possible." (Ynet).Prime Minister Benjamin Netanyahu said Tuesday that he planned to travel to Egypt next Monday for a meeting with President Hosni Mubarak. Speaking at a Likud Central Committee meeting in Tel Aviv's Exhibition Grounds, the prime minister said he was happy to hear of the decision made by Palestinian President Mahmoud Abbas to renew peace negotiations with Israel, and expressed his hope that it would happen as soon as next week. "We are not against peace, but in favor of peace. We seek real peace in which we work on Israeli interests, on reciprocity, on a solution to the right of return, on recognizing Israel as a Jewish state, and we demand negotiations without preconditions," Netanyahu said. "We have been calling for the renewal of the talks for the past year," he added. "On Monday I will travel to Egypt to meet with President Mubarak, who is doing a lot to renew peace. We are committed to a real peace process." 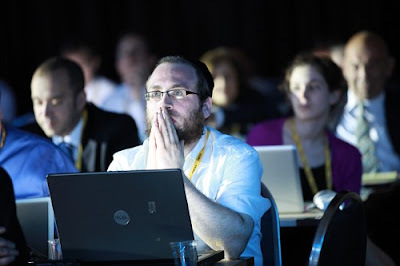 Most of the conference was dedicated to the internal Likud struggle led by Netanyahu against the supporters of party hardliner Moshe Feiglin. He reiterated the message that "the last thing we need right now is to enter an internal battle inside the Likud. We must not divert our attention from handling the State's problems." Netanyahu said he would like to convene the Likud's Central Committee in 20 months. "Unfortunately," he added, "there is a marginal, extreme minority which does not want this, which is trying to frighten elected representatives and choose a way which is alien to us and does not represent the Likud. "We are not a radical, messianic movement, but a national, liberal movement. We do not support refusing orders and do not oppose the rule of law. There is a marginal, extreme movement trying to shatter the unity and preach to me and to (Ministers) Benny Begin and (Moshe) Bogie Yaalon. "They are telling us, you are not protecting Jerusalem. The entire world knows exactly how much we are protecting Jerusalem. Soon they will try to teach us about heritage sites, about the Bible," the prime minister said. Begin and Yaalon expressed their full support for Netanyahu, and the prime minister's aides praised the move and their presence in the event. "These are key figures in the political battle, who will help gain the support of two thirds of the Central Committee members who will convene on Thursday," one of the associates said. "We must take 100 to 200 people to support the prime minister in order to win this battle, and therefore Bogie and Begin's presence is very significant against Feiglin." Q: The Obama administration doesn't want to see provocative actions in Jerusalem, like development of Jewish neighborhoods on disputed land in East Jerusalem. How has that been communicated to you? A: Jerusalem will grow, with me or without me, with the American administration or without the American administration. Jerusalem is a city that is developing. The city will [have] 1 million people in 20 years. The key question is: Are we going to manage it or not? It's very straightforward thinking. Nothing new. Nothing political. Very professional. My role and goal is to manage the growth process of the city. Q: Has there been any guidance from Prime Minister Benjamin Netanyahu to halt or slow construction in neighborhoods over the Green Line? A: No. I don't know of any other city where, all of a sudden, the American administration has all kinds of requests [about limiting construction]. On the contrary, I think the Israeli government understands we are honestly and fairly building the city. It's a lot of catch-up [work]. Q: There's been speculation that rather than a formal, public freeze in East Jerusalem, there will be an unstated policy to simply avoid approval of large or controversial projects. A: It cannot work. First of all, when we say freeze, do you mean [a freeze on] Arab building in the city or only Jewish building in the city or both? Q: On Jewish building in the eastern part of the city that presumably would become part of a future Palestinian state. A: Do you freeze building for Arabs in the western part of the city? It's illegal. It's an illegal demand. It's illegal in the U.S. It's illegal in Europe. And it's illegal in Israel. Therefore it's a straight no. The same rules for Jews and Arabs apply in all parts of the city of Jerusalem. It's a free market. [People] can buy and sell. Q: There haven't been any new approvals by municipal planning committees of significant Jewish housing projects in East Jerusalem since the spat with the U.S. Is that correct? A: You don't approve on a daily basis. You can expect 37,000 new [housing units] for Jewish residents and 13,000 for Arab residents from now until 2030. It's a long, cumbersome process to build in Jerusalem. The expansion is in phases, and I anticipate that the process will continue for the benefit of all residents. (Ynet).Prime Minister Benjamin Netahyahu is touring the country in a bid to convince his party members to support a motion aimed at changing the Likud constitution in a vote scheduled to take place this Thursday. On Tuesday, the prime minister was the guest of Likud Central Committee members in the southern city of Ashkeklon and used the opportunity to slam party hardliner Moshe Feiglin and his supporters. "Such impudence," he said. "They won't to teach Bogie (Vice Premier Moshe Yaalon) and me how to protect Jerusalem. They should not preach to us, neither about heritage nor about the Bible. We are not a marginal sect. Netanyahu was accompanied to the meeting by Ministers Yaalon, Moshe Kahlon and Yisrael Katz, Deputy Minister Gila Gamliel and Knesset members. The prime minister added that US President Barack Obama and European leaders were well aware of Israel's stand on Jerusalem. Later Tuesday, Netanyahu is expected to attend a Likud convention in Tel Aviv's Exhibition Grounds, and on Wednesday he is scheduled to take part in additional Likud events across the country. The prime minister's address was relatively short, but he spoke enthusiastically about changing the constitution. "We must focus on the important issues of the State of Israel, we need more party members in order to be able to quietly handle important issues like the Iranian nuclear program and the talks with US President Obama. We need the government to focus on the important issues instead of having to run from place to place." Minister Yaalon spoke about security-related issues and the calm in the region. "The Palestinians are afraid," he said, "because they know we will respond firmly to any demonstration of power." President Obama said tonight that the U.S. will set up exchange programs with business people throughout the Muslim world as part of the overall outreach program he outlined last year. "The new beginning we seek is not only possible, it has already begun," Obama told the Presidential Summit on Entrepreneurship in Washington, D.C.
"I knew that this vision would not be fulfilled in a single year, or even several. But I knew we had to begin and that all of us have responsibilities to fulfil." "I say it again tonight: Despite the inevitable difficulties, so long as I am President, the United States will never waver in our pursuit of a two-state solution that ensures the rights and security of both Israelis and Palestinians". (POLITICO 44).The mayor of Jerusalem is making round on Capitol Hill this week and he has a stern message for U.S. lawmakers: America’s demand for a settlement freeze in East Jerusalem is illegal. Nir Barkat, the millionaire businessman and mayor of Israel’s largest city, will meet with a slew of lawmakers, including House Majority Leader Steny Hoyer (D-Md. ), House Republican Whip Eric Cantor (R-Va.) and both Republican and Democratic Israel caucuses. Barkat is taking his criticism straight to Congress, where the administration’s position about Israel has come under fire from both parties. Barkat's talking points, an aide told POLITICO: The U.S. would not ask certain religions or races to stop building in a city, so it should not demand the same of Israelis in East Jerusalem. The Obama administration's demands that Israel halt construction in East Jerusalem as a precondition for negotiations, is “setting an obstacle for peace,” the aide said. "I dont know," he said. "I dont know, we have yet to see. I will tell you in the next few months, in the next few years." (Jpost).Palestinian Authority President Mahmoud Abbas on Monday declared his willingness to work with Prime Minister Binyamin Netanyahu, adding that he hoped to get Arab League approval for indirect proximity talks on May 1. "Try me," Abbas told Channel 2. "I say on behalf of the Palestinian Liberation Organization, that we are prepared for an agreement." He said that US Middle East envoy George Mitchell had put forward "various ideas" on his recent trips to the region, and that the PLO would present its proposal to the Arab League on the first day of next month. "I hope the response will be a positive one," he said. The PA president emphasized that the demand for a halt to Jewish construction in east Jerusalem was not a new one, and that the PA had been calling for such a freeze since the Road Map was compiled. Stressing that Netanyahu was the prime minister "chosen by the Israeli people and elected by the Knesset," Abbas said that on that basis, it was his "duty to work with him." Concerning recent calls for renewed Palestinian resistance in the West Bank, Abbas said he did "not want demonstrations that deteriorate into violence." Abbas played down PA Prime Minister Salaam Fayyad's stated intention to declare a Palestinian state in 2011, saying, "There will be no unilateral moves, we want an agreement." In a message of reassurance about Hamas rule in Gaza, Abbas said he was confident that the Arab world would solve the issue, and stressed that he was in "constant contact" with the group in a bid for a reconciliation agreement. (Ben Caspit-Maariv translated via Coteret).Israel and the US have reached secret agreements about construction in Jerusalem. Both sides agreed to leave the agreements between themselves and not make them public, and if they should be leaked nevertheless, deny them vigorously. The purpose is in order not to create difficulties for Prime Minister Binyamin Netanyahu in the coalition, and particularly in the Likud party. The agreements were made in a very long series of meetings and discussions between the parties. Attorney Yitzhak Molcho worked for Netanyahu. Working on the American side was mostly Dan Shapiro, the director of the Middle East department at the National Security Council. As far as anyone knows, the parties agreed that no construction freeze would be announced. On the contrary, Netanyahu may continue to announce that he did not agree to a freeze. But in reality, Netanyahu agreed to delay the Ramat Shlomo project by at least several years and not to issue any new construction tenders in Jerusalem. He also promised “to do as much as the law allows and use his full authority as prime minister to prevent unnecessary Israeli activity in the Arab neighborhoods in East Jerusalem. These agreements do not include the procedures that are already being carried out, such as, for example, the Shepherd Hotel in East Jerusalem. Another agreement between the parties is that if Netanyahu should encounter a particularly severe crisis or heavy pressure, or if these agreements should be leaked, there will be a tendency to let him approve a small number of symbolic construction projects in secret coordination with the Americans so that it will continue to look as though he did not give in. In the end, the agreement is a good and effective one. The Americans are moving forward with it, and the members of the forum of seven are willing to accept it as well. It is saying no and acting yes. In the current situation, if there are no last-minute surprises, there will soon be an announcement of the resumption of the proximity talks between the parties. The Palestinians will go with it, and the Americans will finally be able to finish the job and check off the first item on their to-do list. They made a big strategic mistake in their insistence on a construction freeze in Jerusalem from the first moment. They paid dearly for it. From India with love - The most pro-Israel nation in the world is.... India. (Ynet).The greatest level of sympathy towards Israel can be found in India, according to international study on behalf of the Foreign Ministry, Yedioth Ahronoth reported Friday. According to the study, which was unprecedented in scope and was undertaken by an international market research company, 58% of Indian respondents showed sympathy to the Jewish State. The United States came in second, with 56% of American respondents sympathizing with Israel. The study was undertaken as part of the "Branding Israel" project and aimed at looking into Israel's international stature at what researchers characterized as the world's 13 most important countries, including the US, Canada, Britain, France, China, and Russia. A total of 5,215 people took part in the study. Other countries that showed significant sympathy to Israel included Russia (52%) Mexico (52%) and China (50%). At the bottom of the list, the study ranked Britain (34%) France (27%) and Spain (23%) as the least sympathetic countries towards Israel. What do you think of the American demand to freeze construction in Jerusalem? Who is responsible for the tension between the USA and Israel – Obama or Netanyahu? Is Obama interested in improving relations with the Arab states at the expense of Israel? Thousands in NY Protest Obama's Stance On Israel: "Obama is not Israel's landlord". (WPIX) - Thousands of Jews gathered outside the Israeli Consulate Sunday to protest President Obama's position towards Israel. Organizers said the event supports "Israel's right to build and live in its own country," as well as its right to unite Jerusalem under Israeli sovereignty. They are also protesting the Obama Administrations' alleged disregard of the democratic Jewish state. "We are outraged that President Obama is scapegoating Israel and wants to expel Jews from their homes in Jerusalem. President Obama and Secretary Hillary Clinton show more anger about a Jewish family building a home in Jerusalem than Iran building a nuclear bomb," states Beth Gilinsky of the Jewish Action Alliance. "Vast segments of the Jewish community will not tolerate the President's continuing attacks on Israel. Grassroots Jewry will not be silent." The speakers included Beth Gilinsky, who organized the rally, Joan Peters (author of From Time Immemorial), Rabbi Joseph Potasnik (co-host of Religion On the Line), Joy Brighton speaking on the Sharia finance of terrorism, and many others. Speaker James Lafferty declared Benjamin Netanyahu the leader of the Free World now that Obama has vacated that post and suggested only somewhat facetiously that Netanyahu should run for the Presidency in the US since citizenship is not required anymore. #Dov Hikind at #NYCIsrael rally: If we do our part, I guarantee that God will do the rest of the Job. #R' Arie Sapiro at #NYCIsrael rally: Mr. Obama you are not Israel's Landlord, and so is Hillary not Israel's landlord. #R' Arie Sapiro at #NYCIsrael rally: Mr. President - Jerusalem is not a settlement, it is the greatest Jewish city in the world ..
#R' Joe Potasnik at #NYCIsrael rally: when Obama says he stand shoulder to shoulder with Israel,he doesn't mean back to back but Face to face..
#Rabbi Joe Potesnik at #NYCIsrael rally:don't let anybody say we are working behind the scenes,as we saw in 1938. #NYCIsrael rally:Hear me Obama: If we have been blinded now we see,if we have been deaf..now we hear.if we were silent.now we will speak out . #A speaker at the#NYCIsrael rally: takes out a pink slip to silent Jewish leaders: You are fired!!! You have not defended Israel..y'v failed. #Michael Leyden at #NYCIsrael rally: we know that the civilized world say today: We are all Israeli's. #Jone Peters at #NYCIsrael rally: I voted for Obama..but I found that he doesn't love Israel...we must not allow Obama to create a PA state. #Rabbi Arie Sapiro at #NYCIsrael rally: Fear not..be strong an courages... We have the convictionton to declare: this land is mine..
A week ago Israel celebrated its 62nd independence day the rebirth of the jewish people in their homeland, from day 1 Israel struggled and stood up to its enemies, we have fought tough wars, we have sacrificed our best men and women, and we have showed time and time that our will and unity can overcome and win . but never were we faced by a war of friendly fire. Netanyahu will make the “right choice” for Israel, the people of Israel voted in the ballot booth for this government run by the likud with a coalition of the right wing zoinist parties, this is the will of the Israeli people, you can squeeze and press but you will not be able to kill the will of the Israeli electorate. The elected government of Israel made it clear from the first day… we want peace, we will do everything to revive the peace process and resume peace talk with the Palestinians, and we will be ready to negotiate all issues regarding the conflict, in order to end this conflict with secured borders and recognition of our existence. These promises were met by actions, but were met by rejection of the Palestinians our partner for peace, with the help of the US administration the demands grew bigger and bigger, their greediness went up a step, and on every unprecedented positive move by the government, the Palestinians offered more unprecedented demands to halt the peace talks rather that get them back on track. We were not expecting flowers or novel prizes for our gestures, but what we did not expect was the treatment and humiliation our Leader got from its ally the US administration, demands that brought out a volcano over the skies of Jerusalem. We will not give up on our sovereignty, and so will we not apologize for building in our capital…and we will stand firm on the right of the Jewish people to live in its promised land. President Obama, for President Truman it took 11 minutes to issue a statement to recognize the Jewish state, but his words were met by action by standing to the right of the Jewish state, your warm words and encouraging promises need to be met by actions, and translated into reality, print your words not only speak them. And to you American Jews, representatives in the house and friends of Israel, stand up for Israel, let your voice be heard, don’t hide under locked doors, and don’t mumble under your nose that Obama must change his attitude towards Israel and that Israel and the US bond is unbreakable, prove it! Never compromise what's right and uphold your family name"
Stand up for Israel when it matters.. Stand up for the Right of the Jewish people to live in its promised homeland. "I am writing to ask you to work with Congress to quickly complete action on the Iran sanctions legislation and to encourage you to support direct negotiations between the Israelis and Palestinians. I am deeply concerned about the continuing threat from Iran’s nuclear weapons program which is why I have taken action in the Senate to get new US sanctions in place. While I support the Administration’s decision to pursue sanctions at the United Nations, I think congressional action can further our mutual goal to halt Iran’s nuclear weapons activities. The Senate has already passed S. 2799, The Comprehensive Iran Sanctions, Accountability, and Divestment Act, and I appointed conferees to negotiate a final version of the legislation with our colleagues in the House of Representatives. I worked hard to get this bill passed in the Senate because I believe we must do everything possible to stop Iran from acquiring a nuclear weapon. That is why we should get the final version of the legislation finished quickly. I look forward to working with you to ensure there are no impediments to swiftly completing this legislation. I also believe that the United States should clearly, and unequivocally, state our continuing support for Israel and reiterate the unbreakable bond between the two nations. I recently hosted Prime Minister Netanyahu in a public meeting with a bipartisan group of Senators because I believe we must demonstrate our commitment to our democratic ally in the region. I hope that the Obama Administration will do everything possible to reduce recent tensions with Israel while reaffirming the need to move forward with the peace process. I urge you to encourage both sides to participate in direct negotiations, which Prime Minister Netanyahu has already agreed to do. We are at a decisive moment both with Iran and the Israeli-Palestinian peace negotiations; it is at such moments that US leadership is crucial to ensure the security of Israel. We cannot allow Iran to acquire a nuclear weapon which would threaten Israel, our allies in Europe, and our own national interests. We must move forward with a peace process that protects the security of Israel. I strongly believe that our relationship with Israel makes the United States more secure. We cooperate on critical intelligence matters, work together on weapons systems, and rely on Israel as our ally in a volatile part of the world. I know you share my commitment to the national security of the United States and recognize that a secure Israel is in our national interest. I hope we can work together to address these critical issues". (Joel Leyden-Israel News Agency). Thousands of American Jews and Christians are expected to gather this Sunday at 1 PM outside of the Israel Consulate, located at 800 Second Avenue (42nd Street & 2nd Avenue) to protest US President Barack Obama scapegoating of Israel and his increasingly hostile anti - Israel proposals and actions. Numerous rabbis and heads of Jewish and Christian organizations will also be present. “We are outraged that President Obama is scapegoating Israel and wants to expel Jews from their homes in their capital of Jerusalem. President Obama and Secretary Hillary Clinton show more anger about a Jewish family building a home in Jerusalem than Iran building a nuclear bomb,” said Beth Gilinsky, President of the Jewish Action Alliance. A taped statement by former US Congressman and three term New York City Mayor Ed Koch, who has vigorously expressed his shock and displeasure with President Obama hostility toward Israel, will be played to attendees. The protest rally against Obama is being sponsored by the Jewish Action Alliance, an organization well known for activism and speaking out on issues of Jewish security. The event will be MC’d by radio talk show host Steve Malzberg and columnist Rabbi Aryeh Spero. It is endorsed by AISH Center, Americans for a Safe Israel, Artists 4 Israel, Children of Jewish Holocaust Survivors, Christians and Jews United for Israel, Coalition for Israel, Crown Heights Women for the Security and Integrity of Israel; Dr. Joseph Frager, Jerusalem Reclamation Project; Assemblyman Dov Hikind; IsraelAlive; Israel Day Concert in the Park; Jewish Political Education Foundation; Dr. Michael Ledeen of Center for Defense of Democracies; Unity Coalition for Israel; Dr. Herbert London of The Hudson Institute; AMCHA, Coalition for Jewish Concerns; Stand With Us; Endowment for Middle East Truth; World Committee for the Land of Israel; Zionist Organization of America; Israel News Agency, Z Street; and many other Jewish, Christian and Hindu groups. "We are expecting a very substantial turnout of grassroots Jews as well as many non-Jewish staunch friends of Israel on Sunday," says Gilinsky. "Americans and other world leaders are shocked by President Obama's reckless and radical policies that they believe are endangering America, Israel,and world freedom. Their voices of conscience - and deep disappointment in President Obama - will be raised on Sunday at this major protest rally. "The protesters will be calling on President Obama to stop disarming America, stop undermining America's best friend and ally in the Middle East, Israel, and to stand with Israel and America's friends rather than appeasing Iran, dictators and Jihadists (advocates of an Islamic Holy war against Jews and Christians as illustrated by 9/11 and the London Bombings)." "We believe this will be an historic gathering of Jews and non-Jews to proclaim that we never again will be silent." "Those attending on Sunday will affirm the time honored concept of a united and secure Jerusalem under Israel democratic sovereignty, and to make our displeasure known regarding the deplorable manner in which the White House has treated Israel Prime Minister Benjamin Netanyahu and, in extension, the State of Israel." "The thousands attending on Sunday will loudly express their profound concern about the President Obama redefinition of terrorism and de-linking of terrorism from radical Islam – all of these are dangerous concessions weakening our vigilance and imperiling our safety." "We have been receiving numerous communications from the People of Israel expressing how demoralized and abandoned the Jewish People in Israel feel by the lack of any strong and meaningful statement and vigorous, public demonstrations sponsored by any of the major and established Jewish organizations in support of Israel's position regarding Jerusalem," says Gilinsky. "Many Israelis, and we, feel that the treatment of Israel during the last several weeks by President Obama, Hillary Clinton, and spokesmen for the Administration has been an unprecedented attempt to humiliate the Jewish State and a willful isolation of it among the community of nations. We are angry at this hostility toward Israel, and will express our displeasure loud and clear on Sunday." "The rally-goers are alarmed at how the Obama Administration has been making statements and taking measures that everyone knows give license for the Arab population within Israel and on its borders to renew intifada and rioting that will severely harm the individual Israeli, as is already being done." "Those attending the protest believe Obama is encouraging other Western countries, as well as Arab countries, to treat Israel as a diplomatic pariah and even question Israel's legitimacy as a state itself. The Obama Administration will hear the disappointment and anger of the Jewish Community." "The protesters will affirm that the entire city of Jerusalem must continue to be under Jewish sovereignty and is Israel’s eternal, united capital, and that Jews not be specifically outlawed from building and living in all of its neighborhoods." "The large crowd expected to attend on Sunday are coming to speak Truth to Power. We will not be silent." (POLITICO 44).The White House is engaged in an aggressive effort to reassure Jewish leaders that the tense relationship between the Obama administration and the Israeli government that has played out in public in the past few months does not signify any fundamental change in U.S. policy. On Thursday, the White House sent National Security Council Iran strategist Dennis Ross and Susan Sher, first lady Michelle Obama’s chief of staff, to meet with more than 20 Jewish House Democrats to give them reassurances about Obama’s support for Israel and his commitment to stop Iran from getting nuclear weapons. “What everyone was concerned about is that the White House is losing the Jewish community,” said a congressional staffer, describing the meeting with Ross and Sher. “And they are not explaining what they doing. They are late to beat back [the chatter] that Obama doesn’t like Bibi [Netanyahu], that Obama is an anti-Semite. The same way they were late to beat back the ‘death panel’” charges from right-wing groups last fall during the health care reform debate. The reference was to separate appeals from two influential Jewish leaders, Nobel Laureate Elie Wiesel and World Jewish Congress President Ron Lauder who each took out ads urging Obama to ease up pressure on Netanyahu. “Israel has made unprecedented concessions,” Lauder wrote in his open letter to Obama, which he later told The New York Times had been approved by Netanyahu. Still, officials and Washington Middle East watchers emphasize, that what has changed is the public relations strategy for the policy, not U.S. policy. And that does not change the fact that substantive disagreements remain between the U.S. and Israeli governments on issues such as East Jerusalem. But the National Jewish Democratic Council’s David A. Harris believes most pro-Israel groups can tolerate such disagreements if the administration’s goodwill toward Israel is understood. “The bottom line is that Israel needs to be a bipartisan issue,” Harris said, noting that American Jews are overwhelmingly Democratic, and pro-Israel supporters can’t afford to turn into a U.S. domestic partisan debate. (Politico).Israeli Prime Minister Benjamin Netanyahu gave U.S. Middle East peace envoy George Mitchell a warm welcome at their first meeting in Jerusalem since last month. And Mitchell used the press opportunity at the top of the meeting to communicate U.S. President Barack Obama's strong support for Israel's security and the strong unbreakable bond between the two countries. The Obama administration has been making a concerted effort to warm the tone with Israeli leaders and reassure Jewish American leaders of their support for Israel in recent days. "Prime Minister Netanyahu: I am always pleased to see you in Jerusalem, George. Senator Mitchell is a valued visitor and a valued champion of peace, and I look forward to working with you and with President Obama to advance peace. We're serious about it. We know you're serious about it. We hope the Palestinians respond – we have to move this process forward. I look forward to working with the Obama administration to move peace forward. Welcome to Jerusalem. Senator Mitchell: Mr. Prime Minister, thank you very much. I just want to say a few words to the prime minister, to the government of Israel and to the people of Israel. And I want to begin by quoting the words of President Obama in his statement made publicly on Israel's Independence Day just a few days ago. President Obama said: "We continue to share a strong unbreakable bond of friendship between our two nations. Anchored by the United States' enduring commitment to Israel's security, Israel remains our important partner and key strategic ally in the Middle East. And I'm confident that our special relationship will only be strengthened in the months and years to come. I look forward to continuing our efforts with Israel to achieve comprehensive peace and security in the region, including a two-state solution, and to working together to counter the forces that threaten Israel, the United States and the world. We honor the extraordinary achievement of the people of Israel, and their deep and abiding friendship with the American people. I offer my best wishes to President Peres, Prime Minister Netanyahu, and the people of Israel." That has been American policy. That is American policy. That will be American policy. The president has stated it clearly and convincingly, and I am here today as a tangible demonstration of the workings of that policy on a day to day basis on issues of critical interest to both our governments and our people. I look forward to working with Prime Minister Netanyahu to achieve our common objective of a comprehensive peace in the region. (TheHill).Democratic Sen. Charles Schumer (N.Y.) Thursday took some shots at the Obama administration's handling of Israel, calling it "terrible" and "counterproductive." Schumer, the vice chairman of the Senate Democratic Caucus, is one of the highest-ranking members of the party to sharply criticize Obama administration efforts to take on the government of Israeli Prime Minister Benjamin Netanyahu. "I told the president, I told Rahm Emanuel and others in the administration that I thought the policy they took to try to bring about negotiations is counterproductive, because when you give the Palestinians hope that the United States will do its negotiating for them, they are not going to sit down and talk," Schumer said on the Nachum Segal radio show. The senator, who is a strong ally of Israel, expressed disappointment with the administration's decision to demand that Israel halt all settlement construction as a precondition to full peace negotiations with the Palestinians. "We are saying that this has to stop," he said. "You have to have, in terms of the negotiations, you have to show Israel that it's not going to be forced to do things it doesn't want to do and can't do... And right now there is a battle going on inside the administration, one side agrees with us, one side doesn't. And we're pushing hard to make sure the right side wins, and if not, we'll have to take it to the next step." "That is terrible," Schumer said. "That is the dagger because the relationship is much deeper than the disagreements on negotiations, and most Americans — Democrat, Republican, Jew, non-Jew, would feel that. So I called up Rahm Emanuel and I called up the White House and I said, 'If you don’t retract that statement you are going to hear me publicly blast you on this.'" "The only way the Palestinians will sit down and talk is if they know Israel and the United States are as close as could be. And each administration learns it... We are at a crucial moment here, and I am hopeful that administration will see the right way to go. I am working on it." (CNN) - Only a third of Americans approve of the way President Obama's handling the conflict between Israel and the Palestinians, according to a new national poll. A Quinnipiac University survey released Thursday morning indicates that 35 percent of the public gives the president a thumbs up on how he's dealing with the situation between Israel and the Palestinians, with 44 percent saying they disapprove. This stands in contrast with how Americans feel about Obama's overall handling of foreign policy, with 48 percent approving and 42 percent saying they disapprove. According to the poll, two-thirds (67%) of Jewish voters disapprove of how the president's handling Israeli-Palestinian relations, with 28 percent saying they approve. Two-thirds of people questioned in the survey say that the president should be a strong supporter of Israel but, by a 42 percent to 34 percent margin, voters say Obama's not a strong supporter of Israel. Only 16 percent of Republicans and 33 percent of independents think the President is a strong supporter of Israel, while 53 percent of Democrats do. The wealthier and older the voter, the more likely they are to question Obama's support for Israel. And the racial gap is yawning: 31 percent of white voters, but 54 percent of black voters see him as a strong supporter of Israel. American voters say 57 - 13 percent that their sympathies lie with Israel and say 66 - 19 percent that the President of the United States should be a strong supporter of Israel. President Barack Obama vows he does not intend to force his own peace plan on the Middle East. In a letter to the Alan Solow, the chairman of the Conference of Presidents of Major Jewish Organizations, Obama wrote that he does plan to impose peace "from the outside". Obama's letter came in response to concerns voiced by Jewish leaders over Washington's policies towards Israel. Recent times have seen increased behind-the-scenes activity by Jewish organizations aimed at curbing the trend. "Since we have known each other for a long time,I am sure you can distinguish between the noise and distortion about my views that have appeared recently, and the actual approach of my administration toward the Middle East." The president stressed in his letter that, "for over 60 years, American presidents have believed that pursuing peace between Arabs and Israelis is in the national security interests of the United States." "I am deeply committed to fulfilling the important role the United States must play for peace to be realized, but I also recognize that in order for any agreement to endure, peace cannot be imposed from the outside; it must be negotiated directly by the leaders who are required to make the hard choices and compromises that take on history. "We are determined to help them, particularly because the status quo does not serve the interests of Israel, the Palestinians, or the United States." The US president wished to stress that American-Israeli ties would not be damaged as a result of the current disagreement between his administration and the Netanyahu government. "Let me be very clear,We have a special relationship with Israel and that will not change. "Our countries are bonded together by shared values, deep and interwoven connections, and mutual interests. Many of the same forces that threaten Israel also threaten the United States and our efforts to secure peace and stability in the Middle East. Our alliance with Israel serves our national security interests." "As we continue to strive for lasting peace agreement between Israel, the Palestinians, and Israel's neighbors, all sides should understand that our commitment to Israel's security is unshakable and that no wedge will be driven between us. We will have our difference, but when we do, we will work to resolve them as close allies." (AP).Prime Minister Benjamin Netanyahu announced on Thursday that Israel does not intend to comply with the American demand that it halt settlement construction in East Jerusalem. "I am saying one thing. There will be no freeze in Jerusalem," Netanyahu said in an interview with Channel 2 television. There was “full understanding that there can be no conditions for the start of talks.” he added, referring to the Palestinian demand that Israel end all settlement construction before they would be willing to resume peace negotiations. Netanyahu's comments were broadcast on Channel 2 TV shortly after special American envoy to the Middle East George Mitchell arrived in Israel for his first visit in six weeks. “Our policy on Jerusalem will not change,” he said, noting that his government's policy on the 3,000-year-old Jewish capital was the same as that of all Israeli governments in the last 43 years. When pressed by interviewer Yonit Levy on Jerusalem, Netanyahu asked: “Why should I give up in Jerusalem?” Turning from defense to offense, he asked her where she was born. She told him that she was originally from French Hill in Jerusalem. Netanyahu, who may have known the answer in advance, explained that the current argument is over parts of Jerusalem like French Hill, which were unpopulated when they were liberated in 1967. (WSJ).Israeli Prime Minister Benjamin Netanyahu conveyed to the White House this weekend his rejection of a U.S. call for a total Israeli construction freeze in East Jerusalem, calling into question the path toward Middle East peace, according to officials briefed on the diplomacy. According to the report, American officials do not believe Netanyahu's stance is the end of negotiations. The sources said the prime minister agreed to discuss nearly a dozen other points that were raised in talks between the parties, including the release of Palestinian prisoners, a lift of the blockade on the Gaza Strip, and the removal of roadblocks in the West Bank. Ronald Lauder, president of the World Jewish Congress, recently attacked US President Barack Obama's Middle East policy in an open letter. Lauder talks to SPIEGEL about Israeli concessions to the Palestinians and why Obama is neglecting the US-Israeli relationship. SPIEGEL: In an open letter that was recently published in advertisements in The Washington Post and The Wall Street Journal, you accused US President Barack Obama of having allowed a "dramatic deterioration" of relations with Israel. What do you mean? Ronald Lauder: The Obama administration is blaming Israel for the stalling peace process, but it is in fact the Palestinians which are opposed to negotiations. Obama's criticism of Israel is disproportionate. SPIEGEL: Isn't the Israeli government also to blame? After all, it announced the plan to expand a settlement in the eastern part of Jerusalem during US Vice President Joe Biden's visit. Lauder: That was bad timing. But the Israeli government has made extraordinary concessions: It has accepted the idea of a Palestinian state, a moratorium on settlement building, and it has removed over a hundred roadblocks in the West Bank. SPIEGEL: And yet, that lip service to a two-state solution was only paid following pressure by Obama. As a close friend of Israeli Prime Minister Benjamin Netanyahu, aren't you biased? Lauder: On this, I don't represent my friend, but Jews world-wide. I would have written the same letter if someone else were prime minister in Jerusalem. Over his attempts to engage the Muslim world, Obama has strongly neglected the relationship with Israel. SPIEGEL: At least he has said that a solution to the Middle East conflict was in the "national security interest" of the US. Lauder: His main concern should be Iran. The regime in Tehran is threatening Israel and the entire Western world with its plans to build a nuclear bomb. That is why Obama should end his feud with Israel. Vice Premier Ya'alon discusses gaps with US on peace: "War of Independence hasn't ended yet"
The Jerusalem Post has published an extremely interesting interview with Israel's Strategic Affairs Minister Moshe "Bogie" Ya'alon. Ya'alon is the former head of Military Intelligence, Israel Defense Forces OC Central Command, and chief of the IDF General Staff. Jerusalem Post interviewers David Horovitz and Herb Keinon point out that Ya'alon speaks about Israel's current challenges vis-à-vis the Palestinians, Iran and the Obama administration from a position of knowledge and experience. Excerpts from the interview conduced with Ya’alon in his Jerusalem office last week. There is a lack of clarity about what the US is asking of Israel. What are their demands? The US is Israel’s ally. This is a deep, strategic, alliance, based on common values and interests. But between friends there are disagreements that sometimes become public. On the one hand, there are disagreements, on the other there is a continuing dialogue. We have different approaches stemming from a different viewpoint about the challenges before us. Each side sees it a bit differently. We hear there are those in the US Administration who believe the source of the instability in the Middle East is the Israeli-Palestinian conflict, and that it is therefore important to deal with that first, and bring it to a conclusion as quickly as possible. There are those who think that you can solve this in two years, more or less, based on the Clinton parameters. Most of us in the government have accompanied the diplomatic process over the last 17 years. We have a different view of the challenges before us, and what the priorities need to be in the Middle East. We do not think the Israeli-Palestinian conflict is the heart of the issue. I would even say that if Israel, God forbid, ceased to exist, the US and the West would need to deal with the wave of jihadist Islam. That is the main problem. When we condense this conflict to a territorial one, either in Lebanon or in Gaza, we see that our withdrawals strengthened jihadist Islam. That is an example of differences in view that we share with the US. The second difference, obviously, has to do with Iran. We see the Iranian issue as the most important. If you are looking for a center for instability, it is not the Israeli-Palestinian conflict; it is precisely the Iranian government. It fuels the jihadist Islamic wave. Does the US not see in Palestinian Authority President Mahmoud Abbas’s refusal to accept Ehud Olmert’s generous offer in 2008 as a lack of willingness on the Palestinian side to come to an agreement? Apparently not. From the dawn of Zionism there has not been a Palestinian leadership willing to recognize Israel’s right to exist as the national home of the Jewish people. This is the source of the problem, and not what is called the occupied territories since ’67. The opposition to Zionism began before we liberated Judea, Samaria and Gaza; before we established a state. In order for there to a proper prognosis, you need a proper diagnosis. We are arguing, and not only with them, but with the Israeli Left, about what is the root of the problem. Part of the issue, which influences the US and European positions, is our internal confusion. I also used to think the solution was land for peace, until I became the head of military intelligence, saw things from up close and my thinking underwent an evolution. But how do we remain Jewish and democratic? There is a majority who believe we have to separate here. First of all, we disengaged politically in Judea and Samaria, and physically from Gaza. The policy of the Netanyahu government is that we don’t want to rule over them. But not ruling over them does not mean we have to withdraw to the 1967 borders, which are indefensible borders; or that we have to divide Jerusalem in order to bring Hamas snipers into Jerusalem. The prime minister has said he is ready for two states. Are you? What he said is that we don’t want to rule over them … And as he said at Bar-Ilan University, if at the end of the day they will be willing to recognize the right of a national home for the Jews; that refugees will not return into Israel; that their political entity will be demilitarized and we will get international guarantees for that; and that an agreement would mean an end to the conflict, then you can call it what you want – a state, even an empire. We are willing to move forward in Judea and Samaria with the government of Abu Mazen [Abbas] and Salam Fayyad. But for this we don’t have to return to the ’67 borders or divide Jerusalem; we don’t have to place ourselves in danger again. There is a general denial – including by Fayyad – of the connection between the Jewish people and the Land of Israel. He gave a lecture at an interfaith conference in New York two years ago about the sanctity of Jerusalem, and he talked about how it was holy for Christianity and Islam. How is it possible to deny the connection between the Jewish people and Jerusalem? How? Have you seen any improvement in this attitude recently? No, there is no change. There is a change in tactics. They understood that terror doesn’t work, especially after 9/11. It is better to characterize this as opposition to occupation, that is more convincing in the postcolonial world, because those who don’t know the details here think we are colonialists, deny that this was our home dating back 3,000 years. Those who want to continue the Oslo process, who want us to continue to give and give and give, without a Palestinian willingness to recognize our right to a national home, are cooperating with the phased plan for Israel’s destruction. Before Annapolis, which was not that long ago, Abu Mazen – the head of a government considered moderate – was asked by Olmert to agree at the end of the conference to a declaration saying ‘two states for two peoples.’ He was not willing. Saeb Erekat was asked why not on Al Jazeera, and said because there is no Jewish people; that Judaism is a religion, and why should a religion get a state. Israel’s critics say enlarging settlements helps Palestinian extremists and ruins any efforts to get the Palestinians to recognize our right to be here. The prime minister said before the elections he was willing to accept the commitments of the previous government, among them the understanding between [George] Bush and [Ariel] Sharon, that no new settlements would be built in Judea and Samaria, and that construction in the settlements would be allowed [to enable] normal life, not exactly natural growth. That was the understanding, and construction continued through the Olmert and Sharon governments. More than that, he [Netanyahu] said we accept our commitment regarding dismantling 23 outposts that were defined by the Sharon government as illegal. He accepted that, until it became clear that the US administration does not accept the commitments of the previous administration. Secondly, we completely reject the argument that the settlements are the reason there is no peace. I think Arafat was willing to go to Oslo because of the settlements. When he saw the [massive Russian] aliya, and the settlements, he thought he was going to lose everything. But if we are talking about coexistence and peace, why the insistence that the territory they receive be ethnically cleansed of Jews? Why do those areas have to be Judenrein? Don’t Arabs live here, in the Negev and Galilee? Why isn’t that part of our public discussion? Why doesn’t that scream to the heavens? Do you really want Jews to live there under Palestinian authority? Is that realistic? First, we are very far from that. I am not talking about that. I am talking about Jews living in Judea and Samaria under Israeli sovereignty and citizenship. Why is it impossible to get to that solution if we are really headed toward peace and coexistence? Do you really think Jews will be allowed to live there under Israeli sovereignty in a future Palestinian entity? In Judea and Samaria, if you are talking about peace, there is enough place for Jews and Arabs. If you are talking about war, it is more complicated. How much open space do you have in Judea and Samaria? Quite a bit. What percentage of the territory do the Jews control? Five percent. That is what everything hinges on? We tried to prevent a conflict with the [US] administration. The [settlement housing start] moratorium was an attempt on one hand not to give in – we did not go for a complete not-even-one-brick freeze – and on the other hand to avoid a conflict. But now we see that this did not succeed. But here there is also an issue of trust between us and them [the US]. We heard from the secretary of state after we declared the moratorium that it was unprecedented, and that the ball was now in the Palestinian court. What have the Palestinians done since then to enter the negotiations? What have they done? For a full year they did nothing to get into the process, and all of a sudden the ball is back in our court because of the excuse of 1,600 apartments that went through a bureaucratic process in Jerusalem? Does that not reflect deep gaps with the Administration? I am not hiding the conceptual gaps, there are differences. And is the Administration’s direction now not toward imposing something on us? If someone really thinks they can impose peace just like that, then they are detached from reality. I hope we will not get to that. This is an existential issue that we have to be insistent about. We need to talk, continue with the dialogue, but there are significant differences in how we view things. What will happen if Obama stands up in September and says this is our plan? How do you react? There have been so many plans in the past, so many proposals, and none of them were implemented. I hope we don’t get to that. If the Arab world feels that the US has given Israel a cold shoulder, then the likelihood of an outburst of violence will increase. Therefore, we need to do continue to talk [to the Administration], share with them our thoughts, and prevent the types of situations that we have been reading about over the last few days in the papers. You talk about the possibility of a renewed outburst of violence. Do we have the internal solidarity to withstand it when you have people saying the government’s polices on settlements are leading to problems with the US and perhaps to war? The internal challenge is indeed a challenge. When people ask me what is the greatest internal challenge, I say one word – confusion. We have seen that when there is internal unity and consensus, there is no external pressure. We saw that after the Bar-Ilan speech. On the settlement issue there is no consensus, so it is no coincidence the Americans jumped on that issue. In Jerusalem there is a consensus, but still the Americans are applying pressure. You hear different voices from the Labor Party [on Jerusalem inside the government] and that causes us great damage. Many of our internal disagreements end with us blaming ourselves. Many say that Oslo failed because of us, because we didn’t give enough.... This is a Western phenomenon, especially a Jewish one. And it is dangerous. Most people in the country don’t feel Oslo failed because of us. But there are many who believe that not stopping the settlements is complicating our situation. That is the role of leadership, and the job of education. We need to explain the challenges we are facing, what we are up against, and what we are willing to fight and struggle for. This is an existential struggle – the War of Independence has not ended. From a historical perspective, all the wars we fought, from 1948 and even before the establishment of the state, up until now, are part of a War of Independence for the existence of a national home for the Jewish people after 2,000 years of exile. We cannot fold on Jerusalem. What is Jerusalem? It is Zion. Why did my mother come here after the Holocaust, why did my grandparents come here in 1925? They came to Zion. From my wife’s side, her grandparents left Morocco and came in 1897 after walking here for two years. Another predecessor came here in the 1600s. Why here? (JC).President Shimon Peres led senior members of the Israeli government, including Prime Minister Binyamin Netanyahu in a rousing chorus of Yom Ha’atzmaut songs during the celebrations at his home. The special celebration was attended by Mr Netanyahu, Defence Minister Ehud Barak and Gabi Ashkenazi, the army chief of staff. The songs were specially selected by each of the leaders. They entertained a crowd of 120 “outstanding” IDF soldiers, IDF and Palmach veterans. President Peres told the soldiers: “I look at you and see 2,000 years of pogroms and bloodshed, of triumphs and achievements, of grief and joy, of tears in your eyes and hope in your hearts. Fearless combatants. Soldiers who have not lost human values. “You are the sons of a small nation, with great achievements. You are the state of Israel. The Queen, US President Barack Obama and heads of state from Germany, the Netherlands, Russia, Mexico, Slovenia, Kazakhstan, Ukraine, Egypt, Turkey and Sweden sent their congratulations on Israel’s 62nd anniversary. President Obama said: “The bonds between our two great countries are deep and enduring. Our relationship is based on mutual values and interests. The United States remains unwavering in its commitment to Israel’s security as we work towards our common goal of a lasting peace. White House Chief of Staff Rahm Emanuel said in an interview on Monday that the time has not come yet for a new U.S. Mideast peace proposal.In an interview with Charlie Rose on Bloomberg Television, Emanuel emphasized that a new U.S. plan isn't the correct move at this time. "A number of people have advocated that. That time is not now. The time now is to get back to the proximity talks [and] have those conversations that eventually will lead to direct negotiations, start to make the hard decisions to bring a balance between the aspirations of the Israelis for security and make that blend with the aspirations of the Palestinian people for their sovereignty,". "Our bond with Israel is unshakable and unbreakable both as it relates to security, as it relates to a common set of values and also as a common strategic vision because the threats to Israel are similar to some of the threats the United States faces," he said. Emanuel also expressed strong faith in the relationship between U.S. President Barack Obama and Prime Minister Benjamin Netanyahu. When asked whether the relationship is cordial and constructive, Emanuel answered that "it's a constructive, honest relationship amongst not only friends, but two people who also have responsibilities to their respective countries: total honest, very constructive working relationship," said Emanuel. Regarding Iran, he said that "Iran, as Israel describes, is an existential threat to them. The United States has seen Iran's desire to get a nuclear weapon as its own sense of threat, which is why it organized the P5+1," said Emanuel, speaking of the meeting of the United Nations Security Council and Germany on Iran. "Israel’s Independence Day celebrates a double miracle in the life of the Jewish people," Prime Minister Binyamin Netanyahu said in a personal statement to the Jewish communities of the Diaspora released Monday, on the eve of Yom Haatzmaut. "The first miracle is the restoration of Jewish sovereignty. There is no other example that I know of in the history of nations in which a scattered people, practically left for dead, has been able to re-assert its national life," the prime minister stated as the nation made the transition from mourning its fallen soldiers to celebrating its 62nd year of independence. "The second miracle is what we’ve done since the establishment of the Jewish state. Israel is fast becoming a regional economic power and one of the world’s leading technological powers. All the powers of creativity and genius in the Jewish people are bursting forth in every area: in science; in technology; in medicine; in the arts,This great burst of creativity promises a great future for the Jewish people and for all mankind,". "The "double miracle" of Israel's existence, sovereignty and development was "a testament to the life-force of the Jewish people. It’s a testament to the deep wells of hope we carry inside us and to the deep connection that we have both to our past and to our future." In an optimistic finish, the prime minister stated that "the two miracles that have already occurred are only the beginning. If we stand together, if we remain committed to our common destiny, there’s nothing we cannot achieve. Obama in warm message to Israel on Independence day: US-Israel relationship - "strong, unbreakable bond"
(Politico).After weeks of strain in the U.S.-Israel relationship, President Barack Obama offered a quite warm statement congratulating the Israeli government and people on their 62nd years of independence, reasserting the U.S.-Israel special relationship and strong unbreakable bond between the two countries, and offering his best wishes personally to Israeli Prime Minister Benjamin Netanyahu and Israeli President Shimon Peres. "Minutes after David Ben-Gurion declared Israel’s independence, realizing the dream of a state for the Jewish people in their historic homeland, the United States became the first country to recognize Israel,To this day, we continue to share a strong, unbreakable bond of friendship between our two nations, anchored by the United States’ enduring commitment to Israel’s security." "Israel remains our important partner and key strategic ally in the Middle East, and I am confident that our special relationship will only be strengthened in the months and years to come,". "I look forward to continuing our efforts with Israel to achieve comprehensive peace and security in the region, including a two-state solution, and to working together to counter the forces that threaten Israel, the United States, and the world,". said. "On this day, we once again honor the extraordinary achievements of the people of Israel, and their deep and abiding friendship with the American people. I offer my best wishes to President Peres, Prime Minister Netanyahu, and the people of Israel as they celebrate this happy occasion." Rivlin’s speech, to be delivered at the Independence Day kick-off celebrations at Mt. Herzl in Jerusalem on Monday night, concentrates on Jerusalem – which the United States government is unyieldingly pressuring Israel to stop developing and give half away to a foreign entity. "We commemorate the memory of thousands of terror victims murdered in attacks against Israel," Prime Minister Benjamin Netanyahu said Monday at the opening of a Memorial Day ceremony in Jerusalem dedicated to the memory of victims of terror attacks. "The only sin committed by these victims, was that they lived in Israel, or visited Israel. But they weren't sticklers ? they killed Israelis outside of Israel too. The murderers slaughtered them only because of their identity." Netanyahu remarked that terror is not a new phenomenon, and that it has accompanied Zionism since the very beginning. "Today, the support is coming from the extreme Islamist regimes, headed by Iran, who have wholeheartedly adopted the calls to destroy Israel." "The masterminds behind these attacks as well as those who carry them out erase the lines dividing babies from the elderly, dividing fighter from fighter, and dividing Jews and non-Jews,They have nothing but utter contempt for the values and rules customary in the human and enlightened world." The prime minister added that Israel will extend its hands to "anyone who wishes to live with us in peace, but those who wish us ill, and those who kill our children, we will pursue everywhere and exact revenge for their hatred and their crimes." (Ynet).A two-minute siren sounded across Israel at 11 am Monday in memory of 22,684 fallen soldiers and terror attack victims killed since 1860. It was followed by state ceremonies at 43 military cemeteries and near the monument for the Bedouin soldiers at Hamovil Junction in northern Israel. Prime Minister Benjamin Netanyahu, President Shimon Peres and Supreme Court President Dorit Beinish attended the main ceremony on Mount Herzl in Jerusalem. The prime minister said in his speech that shortly after joining the elite Sayeret Matkal, two of his brothers in arms – Zohar Linik and David Ben-Hamo – died during preparations for an operation. "I accompanied them to the evacuation vehicle which drove us to the Tel Hashomer hospital. I sat in the back seat and held on to David with all my might. He died in my arms before we reached the hospital. Zohar died shortly afterwards. I will never forget those moments. The two of them, Zohar and David, remained forever 19," Netanyahu said. "Our loss is unbearable," the prime minister added. "Our comfort is continuing our loved ones' way and fulfilling their dreams. We are a peace-seeking people who pray for peace. Our one hand is extended in peace to all our neighbors who seek peace, and our other hand holds on to the sword of David in order to defend our people against those seeking to harm us." Netanyahu also spoke of the way his family dealt with the death of his brother, Yonatan, who was killed in action during Operation Entebbe. "Each family has its own way to deal with the loss," he said. "I remember that I once saw my mother, Tzila, sitting on an armchair in my parents' living room and gazing at the horizon, when a smile suddenly appeared on her face. I asked her, 'Mother, what are you thinking about?' 'I am thinking about Yoni, my Yona'le,' she said, and added, 'I have only good memories.'" Why Didn’t Obama Call Off the Ambush?